Home › Energy-Efficient LED Lighting › Crystal Decor Natural Himalayan Salt Lamp In Snowflake Design Metal Basket Wi.. 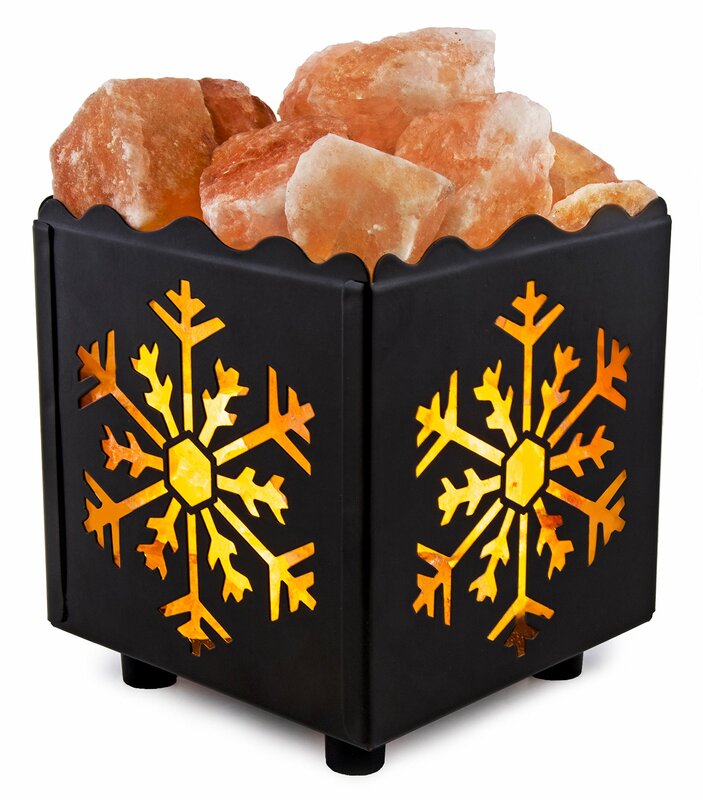 Crystal Decor Natural Himalayan Salt Lamp In Snowflake Design Metal Basket Wi..
Air Purifier: Himalayan salt lamps purify the air to provide you with air that is healthy and easy for breathing by clearing natural allergens such as: smoke, pet dander, pollens, and other harmful pollutants. Natural Lighting: Himalayan salt lamps provide a pure and natural source of light that provides positive and soothing effects for maximum relaxation. Great as a night light, bed light, meditation light, or prayer light. Color: Snowflake If you have ever visited a flourishing waterfall, mountain top, or untamedriver, you might notice that the effects of a wild seafront or mountainousarea can leave you feeling both mentally and physically refreshed. Curious asto how you can achieve this effect in your own home? Bring the natural beautyof the Himalayan Mountains into your own space with Crystal Decor's all-natural Himalayan salt lamps made from the purest form of salt on Earth. Crystal Decor's salt lamps provide both tranquility and natural earthyaesthetic to any room, home, or office. Himalayan salt lamps emit anenchanting yet natural glow meant to sooth your inner spirit and are alsoeffective in treating common respiratory ailments. With unique healingeffects, Crystal Decor's salt lamps are the perfect air ionizers to help youbreathe and rest easy.